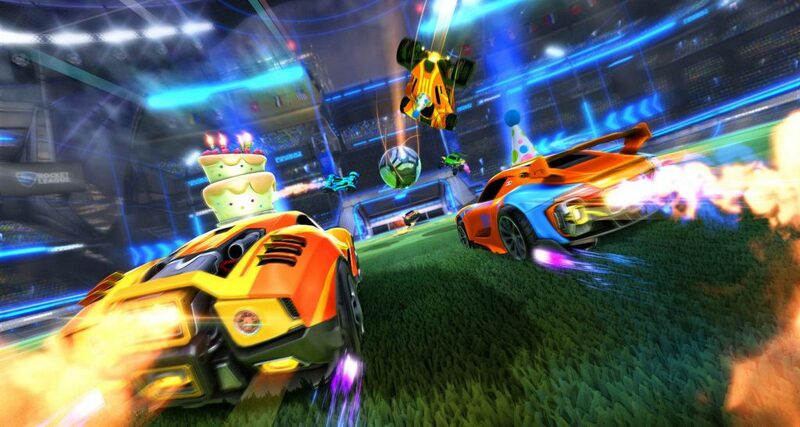 Psyonix, the company behind Rocket league, announced that they will be adding “The Esports Shop” to the game as a pilot program to support the teams that will feature in upcoming Rocket League Championship Series (RLCS). A 30 % cut from the sales revenue will go towards teams and also some portion will go towards prize pools of RLCS league play. The Esports shop update will go live on April,16th. The Esports shop will contain in-game cosmetic items that will feature branding of teams competing in RLCS. Featured items include two Decals per team (Octane and Dominus), one Player Banner per team, and a variety of Wheels per team. Although right now only European and North American divisions teams are involved in the program. While other division teams will be added in another season. Following the update, the esports shop will appear under “shop” in the main menu. The Esports shop will feature its own premium currency called Esports tokens. The Esports tokens can’t be earned in-game and the items in Esports Shop will be premium only and hence won’t be tradeable. Items in Esports Shop will start at 100 Esports tokens and the tokens can only be used in Esports shop. These tokens will be sold in packs as followed. The Esports shop will feature 6 in-game items daily and refresh them after 24 hours. Each item will have a timer displayed that will show how long an item will remain in the shop. Some items will carry a 24hrs timer, while some will be available for 48hrs. This type of revenue sharing program isn’t new and many other esports games like CS:GO, Dota 2, PubG, Rainbow Six Siege, etc. already do this to some extent.